Bank note paper mill inviting applications from engineering graduates,interested candidates should have a GATE 2015 score. Qualifications:BE/B.Tech from a recognized University / Institution with Minimum 60% Marks in Aggregate or Equivalent CGPA. The Indian railway after a long time releases a notification to recruit B.E/B.tech and Diploma engineers on 2014,The main aim of the recruitment is to recruit young and dynamic engineers for the posts of senior section engineers and junior engineers.So many engineers has a dream to do a job on railways,now the dream comes to be true.All the best for the all eligible candidates,here we are writing this post to give an idea on written test, syllabus pattern , Books for RRB section engineer(SE) and junior engineers(JE). The Question papers shall be of 150 Objective Multiple Choice Type. It will be solved within a time limit of 2 hours and marks shall be deducted for each wrong answer 1/3 of the allotted marks for each question. The Questions will be of objective type with multiple choices and are likely to include questions pertaining to General Awareness, Arithmetic, General Intelligence and reasoning, General Science and Technical Ability. 2. 60 questions from General Awareness, Arithmetic, General Intelligence and reasoning. The Technical portion of about 90 questions shall cover basic concepts of Science and Engineering for the post you have applied. Basic concepts of Science and Engineering for the post you have applied. Basic concepts of science (class XII standard); Civil; Mechanical; Electrical;Electronics; Computers; Environment & Pollution Control; Instrumentation &Measurement and Engineering Drawing / Graphics. 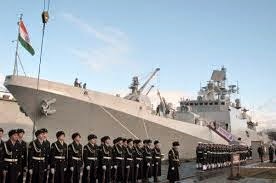 Permanent Commissioned Officers (Naval Armament Inspection Cadre and Education Branch) job position in Indian Navy Applications are invited from unmarried male candidates for grant of Permanent Commissioned Officers in Naval Armament Inspection Cadre and Education Branch of the Indian Navy for course commencing June 2015 at Indian Naval Academy, Ezhimala, Kerala. Qualification : BE /B Tech in Electronics, Electrical, Mechanical, M.Sc in Physics with Minimum 65% Marks . M.Sc (Physics, Maths, Chemistry) , BSc (Maths, Physics), MA (English, History), MCA with 50% marks or BE/B.Tech/M.Tech in Mechanical, Electronics and Communication, Electrical and Electronics, Eectronics and Instrumentation, Electronics and Telecommunication, Electrical, Computer Science, Information Technology with 60% marks. How to apply: Candidates are required to apply ONLINE to any one RRB ONLY, separately for SSE and/or JE group, depending upon their eligibility, on the website of Railway Recruitment Board (RRB) as indicated in Para 15. Detailed instructions for filling up ONLINE applications are available on the website of RRB(s). Brief Instructions to fill up the same are given in Para Nos. 5 and 5 (A) of this notification. Application to more than one RRB for the same group will lead to rejection of all the applications for that group. LAST DATE FOR RECEIPT OF APPLICATIONS: The ONLINE application, complete in all respects, can be submitted to RRB concerned upto 19.10.2014 till 23.59 Hrs. No physical copy of application is required to be sent to RRBs. 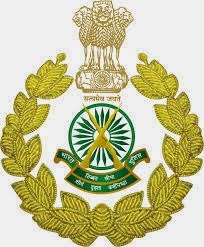 Applications are invited from male Indian Citizens for filling up of following vacancies of General Central Service Group ‘C’ Non Gazetted (Non Ministerial) on temporary basis likely to be permanent, in the Indo -Tibetan Border Police Force. Qualification:10+2 with Physics, Chemistry and Mathematics having aggregate of 45% marks in Physics, Chemistry and Mathematics from a recognized Board or University; or 10th Class pass from a recognized Board with two years Industrial Training Institute Certificate in Electronics or Electrical or Computer from recognized Institute; or 10th Class pass from a recognized Board with Science (PCM) and with three years Diploma in Electronics or Communication or Instrumentation or Computer Science or Information Technology or Electrical from recognized Institute. The Inspector General (Central) Frontier HQ, ITB Police, Plot No. 163-164 (E-8), Trilochan Nagar, P.O.-TrilangaNear Shahpura, Bhopal (MP), PIN Code-462039. The Last date of receipt of applications is 24.10.2014 for all states except for Assam, Meghalaya, Arunachal Pradesh, Mizoram, Manipur, Nagaland, Tripura, Sikkim, Ladakh Division of Jammu and Kashmir state, Lahaul-Spiti District and Pangi Sub Division of Chamba District of Himachal Pradesh, the Union Territory of Andaman and Nicobar Islands and Lakshadweep for which last date is 31.10.2014. 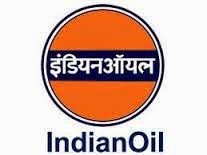 Indian oil corporation limited(IOCL) is looking for energetic and dedicated Graduate Engineers and Post Graduates in Geology & Geophysics (Indian Nationals only) for recruitment as Engineers /Officers . Recruitment in all the Engineering/ Geology and Geophysics disciplines will be through Graduate Aptitude Test in Engineering (GATE) - 2015 . Recently IIT kanpur releases a GATE 2015 notification for writing GATE exam,so many young engineers who are interested to go for higher studies and to get a job in dream companies are waiting for this good news, after giving the GATE notification so many PSU companies releases a notification to motivate and to recruit young and dynamic engineers based on GATE 2015 score.Here we are giving the list of companies who are released a notification for ECE people. 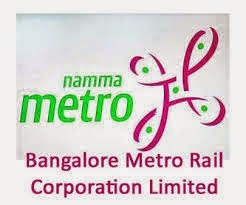 we will update more ece job notifications based on GATE score ..
Bangalore Metro Rail Corporation Limited (BMRCL) invites applications for the recruitment of 480 Maintainer & Train Operator Vacancies in the Operation & Maintenance Wing of BMRCL. 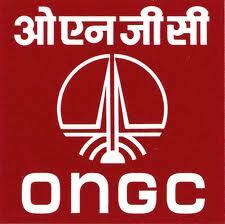 Eligible candidates can apply online on or before 13-10-2014 by 6:00 PM. 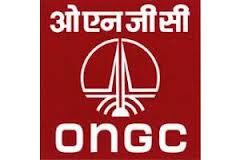 How to Apply: Eligible candidates can apply online through www.bmrc.co.in on or before 13-10-2014 by 6:00 PM. Instructions to Apply Online: 1. Before applying candidates have to scan photo (Size less than 50 kb) in JPEG format. 2. Log on to the website www.bmrc.co.in. 3. Click on Careers —-> “Click here for Online Application” before relevant post. 4. Read the instructions carefully and select the post you want to apply. 5. Enter full name, Nationality, etc and upload photo and click on Submit button. 6. If you have correctly filed the application, application number will be generated (retain it for future use). 7. After Submission , take printout of acknowledgment (retain it for future use) and Bank Challan and make payment as mentioned in Examination fee. Qualifications:Three (3) years Diploma in Electronics / Telecom / E&T Engineering OR M.Sc. in Physics with Electronics. Central Electronics Limited is a Public Sector Enterprise, Schedule B Company under Department of Scientific & Industrial Research, Ministry of Science & Technology and is engaged in manufacturing of Solar Photovoltaic Cells,Module & Systems, Railway Electronics Systems and Microwave Electronics Systems. 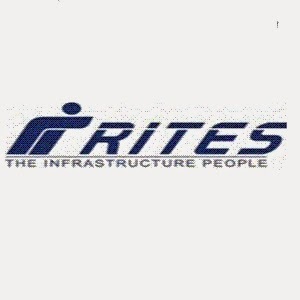 RITES Ltd. is an ISO-9001 certified International multi-disciplinary consultancy organization rendering comprehensive professional services in Infrastructure Sectors including Metro Rail Systems, Railways, Highways, Airports, Ports & Harbours etc. RITES Ltd., proposes to recruit suitable technical Professionals in the following grades and disciplines to meet their requirements. 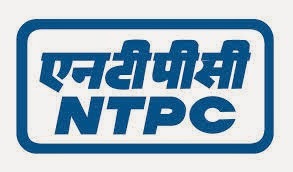 Applications are invited from dynamic and result oriented professionals employed in Indian Railways / Central / State Government Department / Central / State PSUs / Private Sector for the post given below on regular/permanent absorption basis. The appointment initially will be on probation for two years.Candidates have good prospects of growth in the company. Desirable: Candidates should be conversant with PI / MACLS and MSDAC Systems of Signalling. Candidate should be experienced in Signalling Estimate.